Crofter cottage near Shiel Bridge. While many people view tiny houses as a new age style of living, it’s roots are actually quite ancient. Just as shepherd huts used to dot the countryside, tiny crofter cottages stand as a reminder to our ancestor’s simple way of living, that was more about being a part of the land and the community, than wealth and possessions. Many of these beautiful examples of tiny house architecture still exist today in the Highlands and Islands of Scotland. The counties of Argyll, Inverness, Ross and Cromarty, Sutherland, Caithness, Orkney and Shetland, all share crofts as a part of their local landscape. A croft actually refers to a tract of land, rather than a house. It is usually around five hectares in size, although they may be much larger, and has a small cottage attached to it. 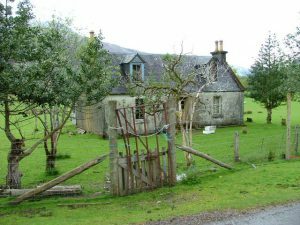 Though the original crofters rented the land and cottage from a landholder, many of today’s crofts are owned by the people that live in them. The land may no longer provide a living for the crofters, but it is still frequently used as a vegetable garden or for supporting livestock as a way of sustainable living. According to Scotland Shelter.org, there are over 17,000 crofts in Scotland! Many are derelict and in need of repair. There is a Crofters Commission, and each croft is registered with them. 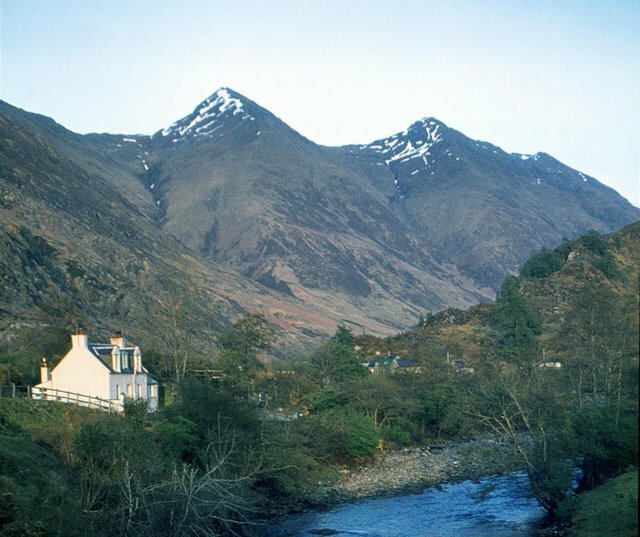 Many of the crofts have been de-crofted, and are now rented out for holidays or are single family dwellings. If you are interested in purchasing a croft, there are several resources for information. Scotland Shelter – This website has a plethora of information on crofts, but also many forms of both permanent and temporary shelters. The Crofting Commission – This group is in charge of registering all crofts and will be able to guide you in the right direction for croft rental or ownership. Scottish Crofting Federation – This is the only member-led organization, dedicated to promoting crofting, and it is the largest association of small scale food producers in the UK. Crofter cottages are a part of the history of Scotland, and though many stand in decay, with some love and attention, they can once again become a welcoming home.